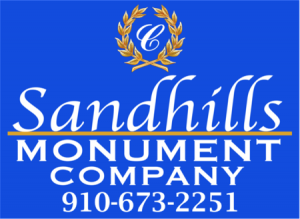 Sandhills Monuments is proudly owned by Conway Development Inc., a 4th Generation family company serving families along the South Eastern United States since 1933. We are excited to offer our Sandhills customers superior Quality, Value, and Service that only 85+ years of monument experience can provide. Based in Greenville North Carolina, Conway Development, Inc. is the only North Carolina Monument Company to own a Laser Etching Machine, allowing Sandhills Monument Company to create beautiful custom designs in-house and eliminate outsourcing. Sandhills Monument Company offers a superior selection of materials and products. Including historical and civic memorials, Mausoleums & Columbariums, Benches, Monuments & Markers, Memory Garden Accents, and Pet Markers. As neighbors helping neighbors, we also offer fund-raising options to local churches, schools, non-profits, and other charitable organizations. Sandhills Monument Company proudly serves Moore, Montgomery, Richmond, Scotland, and Lee Counties as well as neighboring counties. Thank you for entrusting our family to assist your family.